"Excellent screening tool for candidates"
Results are genuinely helpful in assessing strengths and weaknesses of potential hires. Based on the Big Five personality traits, I have a high degree of confidence in the validity of the results. The additional hurdle of completing the survey effectively filters out unqualified applicants. Customer support is excellent -- they are very open to sharing additional information and spending time with you to ensure you understand what you need to know. I would like to see how employees rate on all 10 talents as opposed to just the top 5 that are used for scoring. The methodology used for scoring should be a bit more transparent so that swings in results can be explained more easily. How is each of the top 5 criteria weighted? Do the bottom 5 influence the score at all? How do you aggregate each team member's match criteria to arrive at a single score? Is it done at the talent or sub-talent, or sub-sub-talent level? I would like a deeper problem-solving/IQ section, and for that section to be timed. It would be amazing if Plum implemented more ATS system functionality. As it stands, we still have to use a spreadsheet to manage and review candidates alongside their system. More confidence in selecting quality candidates. "Easy to use, insightful hiring tool!" Plum is so easy to use that you can't get lost or confused, and the results are immediate and actionable - it's been so helpful to us as we aim to slim down from hundreds of applications per job to a manageable and high-quality quantity . You can also plug Plum into multiple other hiring softwares (eg. Greenhouse) and use it to improve your insights on hires as well as test for critical role criteria right at the start of your hiring process. I haven't experienced any real downsides to the Plum software yet - it's intuitive and works well as a standalone or a plug-in tool. No hesitations in recommending it. It's just so much easier to screen for great candidates who match a specific role's criteria. It's also an easy way for multiple members of a hiring team to have input into what makes for a great 'match' or hire. We have been able to get a deeper understanding of our candidates and determine what strengths and weaknesses they might have before they are hired. Every employee has received their Professional Development Guide and is creating short/long term goals with their manager. This has revolutionized how our managers interact with their employees while keeping our employees engaged. All hires are now taking custom Plum job matches for the entire company. I would like to be able to customize the order of the jobs listed in the portal, mark employees as terminated if they do not last, and have statistical data regarding the information already available. The site appears to have some bugs in it - it will frequently crash and take me back to the dashboard, and it will not show the correct number of "great matches" on the dashboard. I would like to see personality summaries that we can share with the employees and managers that are not the scored assessment but not as long as the development guide. This would help me to share personality assessments with mentors and directly with the employees. I would also like to see a candidate area separate from a current employee area. I used the same jobs for all current employees to have assessments and PDG's created - it would be nice to have separate areas for different uses. Also, I cannot mark my current employees as hired because my contract is for a limited amount of hires per year. I have been able to optimize the candidate choices for managers when recruiting, helped managers understand their current employees, and every current employee is receiving a development guide with their annual review to create goals with their manager. In the future, I plan to use the personality assessments to help pair mentors with new hires and help create a succession plan. "Plum Review from a Startup CTO"
I love the personality assessment and pieces of content that potential employees are graded with. They are very insightful and are useful for 1) easily narrowing down the fit, and 2) helpful for interview questions. Along side the personality assessment, the ease of use for potential candidates uploading resumes. We use plum as the last piece of the application process in order to filter down our results even more for potential employees. I dislike the monthly payment system. I actually think it would be more beneficial on a "per" assessment or job description payment. There are months we go without using this and still pay the $200/mo. It is also hard to really manage your "Account" per say. There really isn't an account management page where i can manage users, billing , etc. Incredible tool to easily integrate a personality assessment into your hiring process. It really helps you 1) Identify exactly what you are looking for and 2) finds the best matches for what you are looking for. The people we have hired through using plum are not always the "HIGHEST" match, but they are a solid match that helps distinguish what you are looking for in a potential candidate. The biggest problem we've solved is narrowing down potential candidates for interviews. We've noticed that the actual hires that we have made are not the "highest" PLUM score, but have all been at least 60 or above match for the position profile. "Nailing hiring profile with Plum"
This system helped us in 3 very strategic ways. 1) It created incredible alignment with all hiring managers and forced critical conversations about what we were looking for in candidates. As a result, we had much quicker highers and recruiters had a clearer picture of what hiring managers were looking for. 2) It reduced our time to fill roles. It helped our team bring in higher probability candidates, which meant less interviews, higher quality candidates, and a shorter interview process (less interviews required). Our hiring team loved the ease of use and found the profiles very accurate in terms of matching to what they were looking for. The Plum team also did an amazing job helping us create the right criteria and aligning our job descriptions to this criteria. I really can't think of too much that I didn't like. The only thing I can think of is that I had a Plum rep join me in some meetings to help explain the different plum factors and help our team understand which factors were co-orelated to "big 5". Perhaps there is a way to integrate the co-relation of the "big 5" in the criteria. 1) Reducing time to hire - better candidates brought in. Less interview time required. The results. 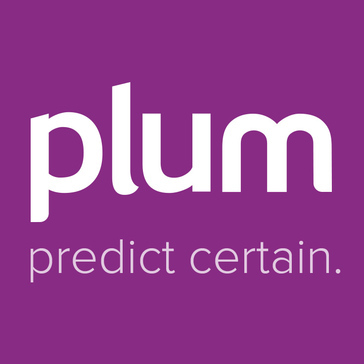 We have used Plum to evaluate candidates for positions ranging from managers to drivers. The candidates Plum profile has been a reliable predictor of success in each of the positions we've filled in the past year and a half using it. No dislikes. I'd like to upgrade from the Basic level in order to access more features, but I don't have the openings to justify the increased cost. We've streamlined our hiring process by requiring every candidate to complete the Plum profile before reviewing their resume. By beginning our evaluation process by reviewing candidates with the highest scoring Plum profile we have identified the best candidates much more quickly. By being able to invite other team members to create the profile criteria I'm able to get better buy-in on the hires I make. "The best tool to streamline candidates that fit your needs"
Plum's survey helped my company identify candidates that best fit the need for the position i am looking to fill. It has allowed me to quickly rank candidates then easily review their resume and cover letter without taking up too much of mine time. The questionnaire that candidates fill out seem to be too complex and might make top candidates not apply to the job. I agree with the ranking of task/characteristics for that position but not identifying the next item in the pattern. Allowing the hiring manager to contact candidates right through plum . Also, allowing the hiring manager to review what the candidates see if the survey to determine if that is required for that role. Finally, with all resumes, develop a dashboard of keep attributes for each candiate by having plum scan/read their resume (i.e. average number of years experience, location, schooling, skills) to give the hiring manager a quick review of if the right candiate pool has been selected or if they should keep the job posting up longer. This allows me more time in my day to focus on higher value items. Plum keeps all candidates resumes in one place. I was able to send the survey out to my top performers from over the years and identify their personality traits that made them successful at their jobs. This also helped the mgmt team eliminate biases and really defined who our ideal candidate is. I have personally hired 7 staff members over the past year using Plum and their success in integrating into the team and ability to flatten the learning curve has been noteworthy. As a result of which, we have now upgraded to Plum Ultraviolet! The results were static and inconvenient to breakdown, compare and play with. Eg. John scored x on industriousness - how does his industriousness compare to others? Sure one can go in and our of each profile to compare this from one candidate to another but an ability to filter and compare strengths would be helpful. Strongly recommend this product. My department was chosen to pilot Plum's implementation and success and the results have made a compelling case to roll this out to the rest of the organization. I honestly cant imagine how I even hired before this! I have a strong understanding on who my ideal candidate is based on empirical data. The interview guide also helps flush this out more. Having a better understanding of the new hire's personality also helps guide what training/coaching tools will be most effective and sets expectations for the degree of support that will be required and how that will be received in turn. "Plum helps improve hiring by reducing bias and saving recruiter time"
I like that Plum asses a variety of candidate qualities and provides a single metric for recruiters to use to make decisions. I also like that Plum assists with reducing bias in the hiring process by reducing the importance of a CV/resume review. It also saves us time for recruiters by providing an initial screening phase so we are having to review less CVs! I wish that Plum provide more guidance for how individual sub-scores can be used to drive hiring decisions. I also wish there were more support on how scores can be analyzed for applicants outside of North America/Europe (to have a better understanding of how things like English fluency and cultural context play in to scores). Plum saves recruiter time. It helps with efforts to reduce bias in the hiring process. It also helps recruiters make more confident recommendations to hiring managers about what to seek in an applicant. "This is one of the best personality profile tests I've ever used"
It seems like the results are strikingly accurate. One thing I really appreciate is that is not only a "good traits" only test. It tests all facets of personality (arguably good and bad) and allow you to see those results. It allows you to set what you need for the role and see the alignment of that person to the role in a very objective manner. I wish we could search a little better through the results. Alerting of new completed test via email would be nice too. We use this on all prospective candidates for our company and we also use it for current staff. It helps us figure out who fits and how to work with current personality types. "It's been a great prescreening tool to get hiring managers involved in the first round of selection "
It sorts all the resumes and applications by title and houses them in one easy to use platform. I like that you can add other team members and managers to collaborate on the process as well. I wish there was a way to you drag and drop the resume files more easily into another location. Hiring for fit and not just the knowledge and skills candidates possess. Plum helps validate some of the attributes people put on their resumes- eg problem solving, organization, social intelligence, etc. We've realized you still have to use this platform in conjunction with other screening techniques- phone interviews, access cultural fit. But it's a good first step that helps narrow down the shortlist of resumes. I love the way the candidate gets an assessment for their own use which gives them a good idea of their strengths. As a HR, I really like how each category is broken down and explained in detail. The one thing I do not like is how I cannot forward or email a candidate's assessment to someone in the hiring panel. I need to take a printout and either scan that or hand them a hard copy, both of which are cumbersome methods. It helps us to convince the hiring team (when there is no consensus) that a candidate will be a good fit culturally for us. Many times that has been proved as well. "Adding a little more certainty to hiring"
What we like best is that you can't game the software. Our team has tried gaming it several times and been successful so it's nice to know that what we see for scoring is truly a reflection of the applicant. Other tools that I have tried in the past made it very obvious what the question was trying to assess. This made it very easy to submit answers which an applicant might think align with the kind of response our company was hoping to receive. By making the gaming function nearly impossible, we ensure that the personality scores and grades received align with the true personality of the candidate. I wish Plum had additional functionality to handle the complete cycle of hiring. Functionality I would like to see would include job posting and custom questionnaires and scoring, applicant tracking and automated responses, and performance reviews. Essentially one tool to take care of our hiring and ongoing personnel needs. I think as a pure personality assessment tool Plum is great. I just wish they would add additional functionality so I could avoid having to use so many products and disparate systems. Compared several other products and found Plum to be one of the best at personality assessments that avoid gaming. Better understanding the personalities of our applicants to find the best possible employees. Helping us to reduce the number of bad hires that we make and retain employees longer. This ultimately leads to better customer satisfaction and fewer bumps and hurdles as our company quickly grows and scales. "Finally!! A beneficial recruiting tool!" I LOVE the new platform. Ultraviolet makes complete sense. I really like how the candidates remain "New" for up to 72 hours. I also really like being able to look at a candidate and how they match up for different positions. I wish the candidates would remain new until they have been reviewed by one of the admin users. Do it!!! It will really prove to be a valuable resource with your recruiting efforts. We are able to really narrow down the applicants that would fit in with our company's culture. "Screen a large number of applicants"
The old user interface was clunky, but they've released a new one that is much easier to understand. "It's a personality test with some added bells"
I think the IQ screening component is valuable though it is quite derivative of western high school standardised testing (if you are British, think: CATs tests). From speaking to colleagues, this is something that is not necessarily normal in other education systems, so there is potential for bias against African applicants (I work in Africa). I would imagine, it is able to determine if someone is not a high school graduate, or is not computer literate with relative ease. It's a personality test. Candidate's responses vary depending on mood, sleep and what they had for breakfast. Similarly, hiring managers probably have a perception of what they want in a character, but don't really know, beyond the patently obvious traits (reliable, hard-working etc.) It's value is limited to being a conversation starter, and as a conversation starter, it is a rather elaborate and expensive tool. I dislike the concept, the product is a pleasant looking vessel for a dubious, fledgling science. I am deeply uncomfortable that we screen candidates with such authority based on what this platform tells us. There is nothing wrong with the company, it's a slick product. I genuinely don't believe you can pigeon hole personality types so superficially. It allows us to to sift through thousands of CVs much quicker with, at least, a pretence that we are doing it scientifically. We’re sorry that Plum hasn’t been meeting your expectations. We hope we can address some of your concerns! We would first like to clarify that Plum does not use a traditional IQ test. Plum assesses fluid intelligence, instead of crystallized intelligence (which is what a traditional standardized test measures). Fluid intelligence is widely agreed-upon to be the most accurate predictor of future on-the-job success (Schmidt & Hunter, 1998). The method we use to assess fluid intelligence is Raven’s Progressive Matrices, which is particularly noted for its ability to NOT discriminate against particular groups, regardless of country of origin, race, gender, age, sexuality, etc. Our assessment only requires a grade 5 reading level, making it accessible even to those who are not high school graduates. For the personality portion of our assessment, Plum leverages the Five-Factor (or “Big 5”) model of personality, which is scientifically validated to be an accurate means of measuring personality. In fact, when combined with the results of a fluid intelligence test, personality has been found to be highly predictive of job performance (Schmidt & Hunter, 1998). Research has also found that someone’s personality is highly stable, in that it changes little due to situational factors like how much sleep a person has had. Finally, leveraging the input of subject matter experts like hiring managers is a well-vetted method for determining role requirements, such as which personality traits are optimal for a role (Tett, Jackson, & Rothstein, 1991). I would be happy to answer any further questions you have about the validity of our product, or I can send you a copy of our technical manual. You can reach out to me at leann@plum.io. Plum has significantly improved our ability to quickly filter and rank candidates' fit for new roles across a spectrum of demonstrable analytical and psychosocial skills. Since we started using plum as part of the hiring process on our team, our quality of candidates and likelihood for role fit has gone up exponentially. We haven't had any regrets to-date with candidates hired into permanent roles with plum as part of the process. There's a bit of a learning curve to using plum well and understanding how it works in the background, but once you master that; its an indispensable hiring tool! Definitely recommend for recruiters who are looking to ascertain role fit very early within the hiring cycle! Much higher, and much more tailored / targeted quality of candidates for new openings on our team. the predictive validity of the tool and the awesome customer service. The current version of the platform is clunky and not intuitive. Assessing at the top of the recruitment funnel to save time for more meaningful conversations for phone screens and in person interviews. We have started to see historical trends of what our hiring managers prioritize for roles and how that matches to our applicants. "Plum for quicker, better hires "
"Excellent tool to scrub through high volumes of applicants"
Being able to personalize the score matching criteria against a role model is impressive. It is also great to be able to identify potential issues with the candidate that score unusually low in any category. Problem-solving might not be very important for a specific role but do you want someone with four out 100 scores on that? Lack of seamless integration in HR management platforms. If you want to understand the accuracy try scoring your own people first. You'll recognize quickly that you can learn many things about your team at a much earlier stage. I enjoy being able to get the interview questions from plum to be tailored to the position that I am looking to fill. I also feel the badges are helpful to get a good sense of what a candidates strengths are. I feel sometime the tool can be very inaccurate and occasionally misleading. Candidates have noted that they feel the tool does not always accurately portrait them and their ability. Plum is being used as a recruitment tool and a development tool to help employees know some of their areas of strength and areas they may want to develop. "Invaluable aid in shortlisting candidates"
I liked that it provided an independent guide to some key character attributes that we could use to shortlist candidates. That I had to download each resume or cover letter to view it! It would be nice to just get an in-window quick view. Making sure we hire good people that are a cultural and personality fit for our roles. "Fast track your recruitment process"
Plum made it easy for me to find the best candidates to consider, and helped me to prepare for the interviews. Super helpful in reducing resume overload, and in making sure I know key areas to explore with each person I considered. There was a little bit of a learning curve when I first started using the platform, but Plum has made a ton of changes that make the platform easy to use. "Saving Time is Saving Money"
The transition in Plums design to Ultraviolet leaves us more questions and concern about our existing information with the app. We have finished our hiring requirements now, but what happens in the future for the data we have under this format that you are moving away from? We were hiring and rehiring based on what we thought matched what we wanted. With Data we can focus on the best candidates and also have information on file about our current employees to understand better their quirks and talents. "Super helpful at filtering candidates and preparing for interviews!" I love that the Plum platform helps me to identify top candidates without filtering through hundreds of resumes. It's also really helpful at identifying areas to talk through with the candidates in an interview, and in identifying areas where we may need to coach the candidate after hire. I've made a number of hires through Plum with 100% success rate on great people! The manager profile can take a little time to create, but it's worth the work. Finding the right candidates for open roles. I like how you can compare your existing staff with applicants - We have some serious rockstar employees that we'd like to compare with our future hires. We also have had some not so rockstar employees that we compare with future hires (helps us weed out potential bad hires). I wish the results stayed "New" until you clicked on the name to review the score and assessment. We have realized the benefits of creating a match criteria based on our high performing staff. "Joshua O'Grady - Sprout - Review of Plum Product"
Shortlisting of candidates, ability to pinpoint exact matches for team success rates of new hires. Length of time to complete seems to be something candidates can have a challening time with. It is important to detail to users how long it may take them to avoid non-complete profiles. Educate yourself as much as you can on this product. It is imperative you learn the functionality to see the true ability it possesses. Screening and placing talent within specific teams of Tech companies. "95 % spot on for what my skills are"
Nothing. In 26 years of HR it is far better than any other screen tool I have used. We will be launching it globally in the next few months after testing it in Cleveland for over a year. If allows data driven back up to help drive decisions for managers. Also if is a tool that can help break a tie between two similar candidates. "Significant Reduced Time and Cost Associated with Hiring"
- Certain advanced features (which are on the product roadmap) require manual assistance from the support team. This issue is offset by the fact that the support team is great to interact with. Hiring -- speed and cost reduction. The new interface is very pleasing to the eye but lacks some functionality of the previous interface. It is very helpful that it buckets candidates by the job they apply for, and the specific criteria required to be successful in those roles. I don't like that the new interface was rolled out without the ability to search by a candidate's name to find them. You first have to locate which job they applied under, then CTRL+F to find the person. Can be more manual than necessary. Help us find the right people that fit the right job. The benefit of this is high employee retention! I was able to hire the best candidate for a position, a candidate that I normally would have missed in a traditional CV screen. Honestly, I'm very happy with the product although my experience has been limited. Does a good job of quantifying the how well a prospective employee's personality aligns with the team. Helps prevent hiring a skilled candidate whose personality clashes with the team. I have hired some candidates who had scores in 60 & 70s, but they turned out to be a perfect fit. Helps us filter out candidates who may be qualified skill wise for the position, but are a bad personality fit, so we don't waste time interviewing those candidates. We use Plum to help us understand which candidates are worth digging deeper with. We also have found people who we might not have been initially interested in based on their resume who turn out to be a great fit for our agency. More personalized interview worksheets would go a long way to perfecting their offering. Hiring, assessing strengths & weaknesses. "Plum helps to narrow search for quality candidates." The Plum program is great in matching up applicants with our base criteria when searching for first round interview candidates. It is also easy to separate out and create a list of the applicants that have potential. I do not like that every cover letter and/or resume must be downloaded in order to be viewed. Plum is streamlining my hiring/interviewing process. Definitely a time saver! "Helps with picking the right person for the job"
I enjoy the ease of selecting candidates based on our companies values and needs. great tool for weeding out the applicants that aren't suitable for your company. we can see who has the potential and core values that we have here- just from a pre-screening. Eliminates lost time interviewing unqualified candidates that might not fit in. Plum provides intelligent insights to candidates prior to the interview phase. Some of the questions can be quite polarizing and we've heard from candidates it made them overthink the process of completing the assessment. Plum allows us to ensure a lower rate of turnover and a better match with company values. More reporting and cohort analysis would be nice. Can accurately and quickly identify someone's strengths and weaknesses. Dan Lucas - CPA, A. "Easy to use and highly valuable tool"
Would love to see more people get "plum scores" and it becomes a type of job currency. Do the free trial and use it a lot! "Good tool for recruiting and hiring"
With Plum, we are able to compare the scores of potential employees with the scores of our top performers. This enables us to better evaluate the personalities of our applicants and aids in determining who is qualified to work at our company. Plum profiles give realistic and accurate insight into the true personalities of individuals. I do not have any complaints at this time. Plum is a valuable tool for recruiters and hiring managers. We are hiring more qualified individuals thanks to Plum. "Plum is a critical part of our hiring process." It helps get to the true nature of our applicants. I would like to control the profile of the position - select which characteristics are important to that job without doing the selection part. Helps make better hires which altimately assists in reducing turnover costs. I love the ease of setting things up, it is incredibly easy to contact customer service and I love the reports you get from potential candidates. Would like more functionality around offering internal development. Ie if someone needs growth in leadership/managing others, what are specific chapters of books or podcasts they could listen to with self reflection activities to help them grow. This helps us to hire more strategically and be thoughtful with team placement. Plum's ability to fine tune requirements on a per role basis is immense, as well as the ability to move candidates amongst roles (rather than having candidates be re-assessed). Nothing of the Plum platform is disappointing at the present time. Plum has significantly cut down on the time it takes for us to qualify individuals as having the right skill sets to meet the requirements of the positions we post. I love the different categories for job and potential success. I also like the candidate facing version that is sent as well as the more detailed version for the hiring side. Wish there was a feature to go back 6-12 months post hire to evaluate against the plum job profile and actual job success. Learning potential candidates and employees at a deeper level right away vs 6-12 months into the job. What I found most useful is how easy it makes it to find great hiring candidates based on criteria you would'nt normally find a cookie cutter resume. It does all the hard work for you. Perhaps a bit too intuitive and might eliminate great candidates early. Worth a try. Try it yourself. Cheaper hiring by identifying red flags and removing unnecessary interviews. "An excellent way to whittle down candidates to the essentiasl"
I liked understanding my candidates better by answering a series of simple questions. I thought sometimes the output could be a bit simplistic, but has shown to be pretty accurate. Our organization is solving the issue of not being able to tell how suitable candidates are for the paritcular requirements that we ask of each of our employees. Love the problem solving section. Makes filtering candidates a snap. "Great tool for understanding behavioural/cultural fits"
Like the simplicity of the system, and the additional insights it gives. Love the team at Plum and their support. Super responsive and helpful. Is this person the right soft skills fit for our company. * We monitor all Plum reviews to prevent fraudulent reviews and keep review quality high. We do not post reviews by company employees or direct competitors. Validated reviews require the user to submit a screenshot of the product containing their user ID, in order to verify a user is an actual user of the product. Hi there! Are you looking to implement a solution like Plum?